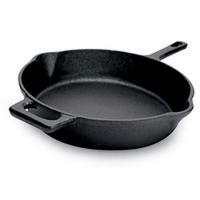 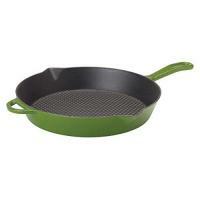 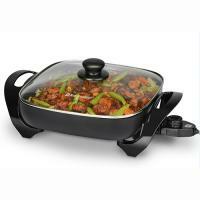 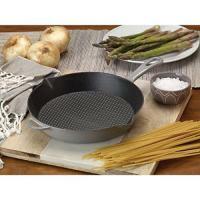 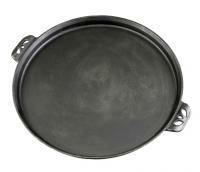 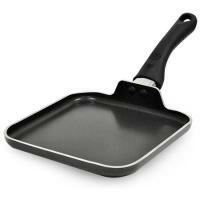 A skillet is a pan used for frying foods, also known as a 'frying pan' . 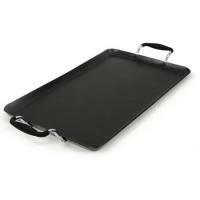 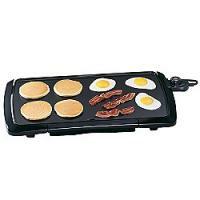 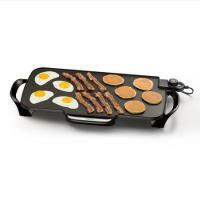 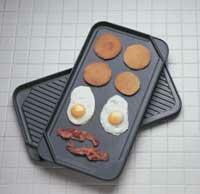 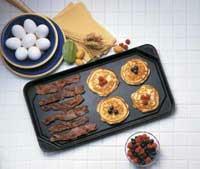 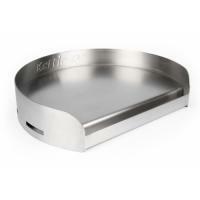 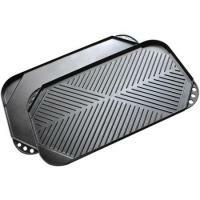 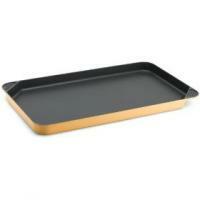 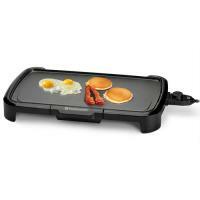 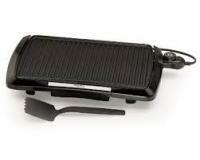 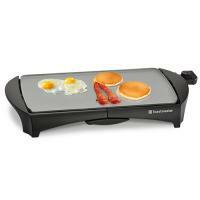 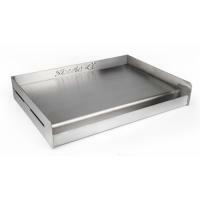 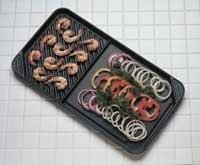 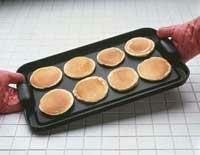 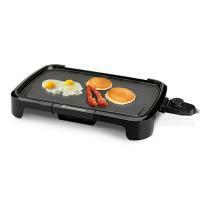 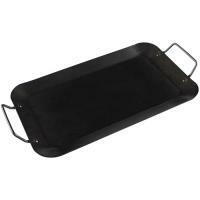 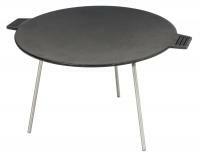 A griddle is a flat plate of metal used for cooking. 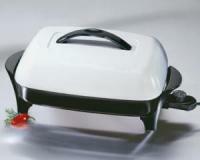 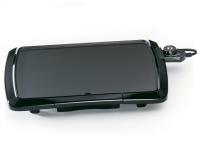 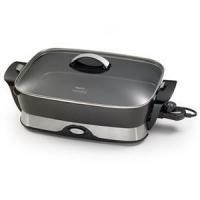 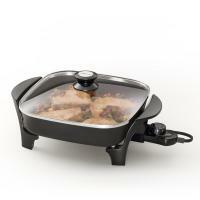 It may be permanently attached to its heat source similar to a hot plate or an electric frying pan.